My PDF sewing patterns are created using Adobe software. The best way to print my PDF is to use Adobe Reader. You can get it for free here - https://get.adobe.com/reader/otherversions/. I recommend that you print from your desktop/laptop. 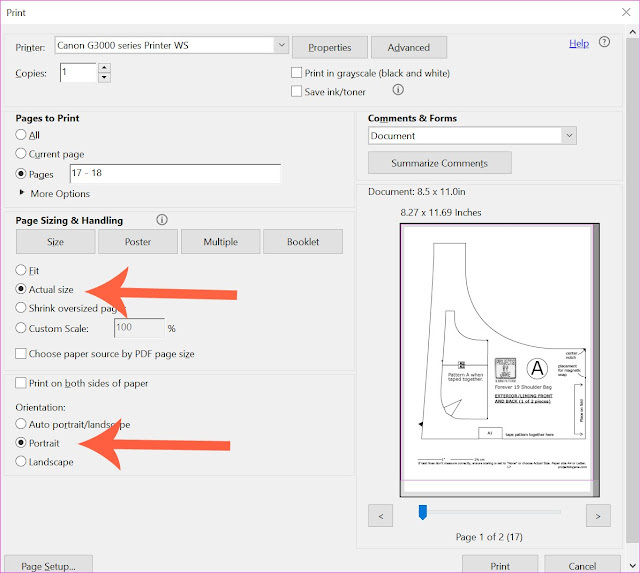 Some of my PDF can run into many pages which is why I suggest you save on paper and ink by printing only the pattern pieces which I've put at the end of each PDF. 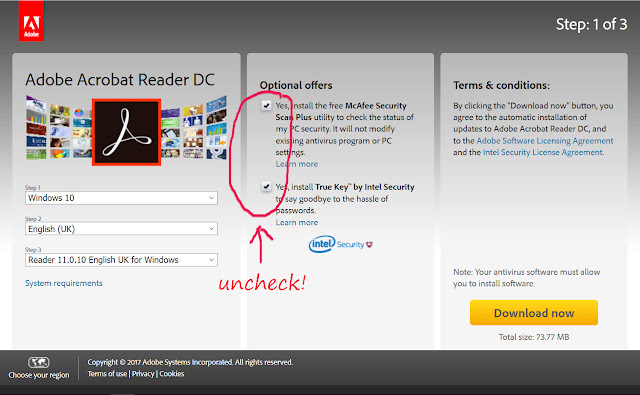 When you need to read the instructions, you can always view the PDF via your desktop/laptop or handphone. Don't know how to view the PDF on your handphone? One easy way is to send it to yourself via email. Open it on your handphone and you should be able to read the PDF. To print the pattern pieces at 100%, make sure your scaling is set to "none" (if available) or choose "Actual size" or something similar. Choose "Portrait" orientation. For paper size, select either A4 or Letter. 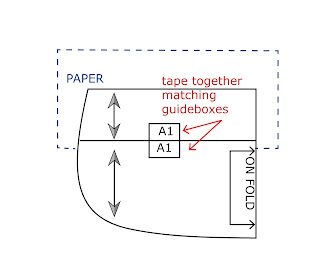 A test square or test line is provided on the pattern for you to measure for printing accuracy. Not every pattern piece need to be assembled (a.k.a. taped together with scotch tape). If a pattern piece needs to be assembled, you will see "A1", "B1", "C1" etc on it. Choose 1 piece and cut pattern exactly on the outline. Find piece with same guide number. e.g. 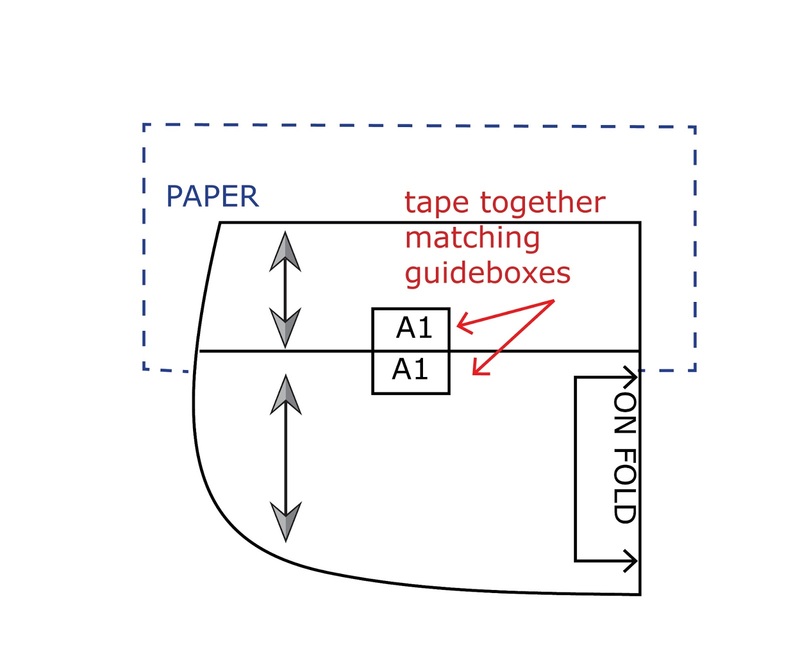 A1 matches A1 and with the guideboxes to help you, tape the patterns together using the overlapping space below the guidebox in the uncut piece. Use something flat and heavy to keep the paper from shifting. Cut out the rest of the unwanted paper. Tip: I like printing my pattern pieces on 200gsm paper. I find it easier to trace outlines.